Battery, the fast-growing independent creative agency based in Hollywood has won the Silver medal for “Be the Batman” for Warner Bros. Interactive Entertainment’s Batman Arkham Knight video game at the 2016 Ad Age Small Agency Awards in Miami Beach. Battery’s campaign helped this installment break sales records including the biggest week one sales in its history and helping to push Sony's PlayStation 4 (PS4) on top of Microsoft's Xbox One in terms of sales. The Battery campaign broke the Arkham video game mold by creating the first live action campaign in the mega-brand’s history and it was co-directed by two-time Oscar® nominated director Jeff Cronenweth and Tim Cronenweth, and scored by Trent Reznor. The global campaign premiered during the 2015 NBA Finals on ABC and consisted of an extensive media presence with TV Broadcast, OOH including a Times Square takeover along with digital and social activations. Presented by Ad Age, the leading global source of news and intelligence for the marketing and media community, the Small Agency Awards are the premier honors saluting outstanding work created by independent shops with 150 or fewer employees. The Small Agency Awards were launched eight years ago to ensure that the groundbreaking campaigns and innovative brand ideas generated by smaller companies receive the recognition they deserve. 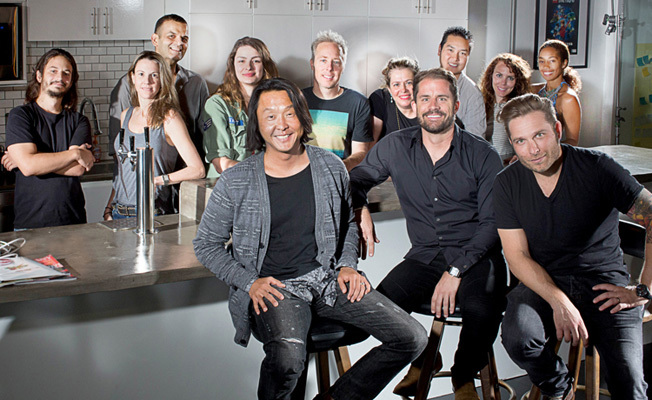 The August 1 issue of Ad Age will feature a special section on the Small Agency Awards winners. Launched in 2013 by Anson Sowby (CEO) and Philip Khosid (CCO), Battery is a high-voltage cell of top agency creatives and former client side brand marketers who activate powerful, game-changing campaigns for Shazam, LEGO, NBCUniversal, Warner Bros. and Mike’s Hard Lemonade, among others. Located in the entertainment capital of the world on Sunset Blvd, Battery has been helping energize an alternative universe to traditional Madison Ave, creating advertising solutions that are as entertaining as they are outrageously smart and strategic. Battery is a winner of many top industry awards from Clios to Addy’s to Ad Age’s coveted Small Agency of the Year and 40 Under 40 award. More information can be found at www.batteryagency.com, or follow them online via Facebook, Twitter, Instagram & YouTube. Advertising Age is the leading global source of news, intelligence and conversation for the marketing and media community. Ongoing, in-depth coverage of CMO Strategy, brand leadership, digital, social media, mobile, data-driven marketing and more is complemented by breaking news. The 86-year-old media brand also produces industry rankings including the 200 Leading National Advertisers report, Agency A-List and the annual Agency Report.